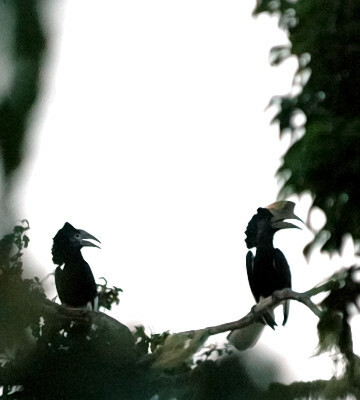 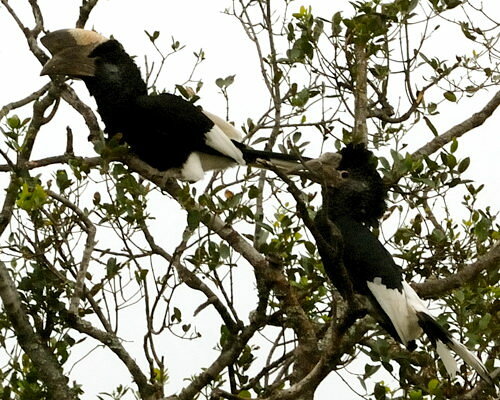 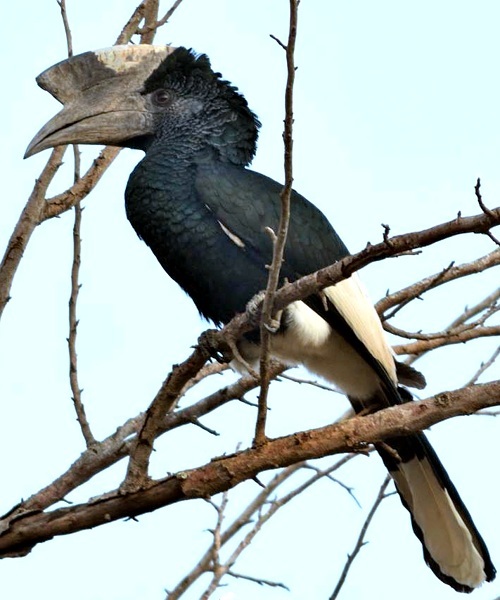 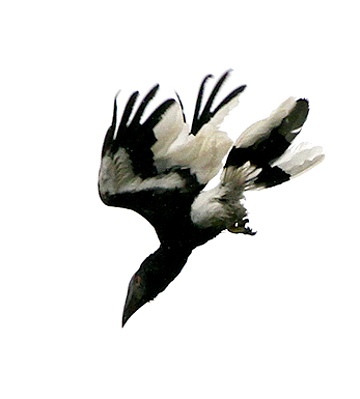 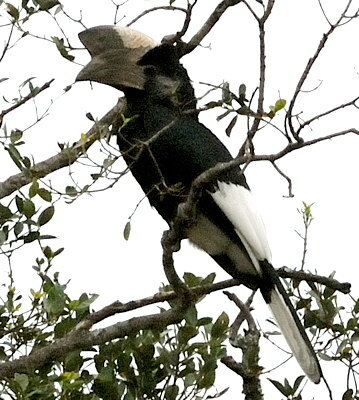 The upper photo of a black-and-white-casqued hornbill was taken at Bonazi (7-16), courtesy of Per Holmen. 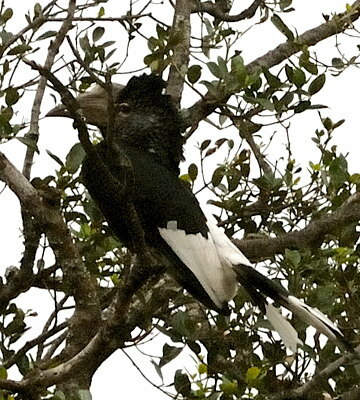 The pair in the next three, 3rd row left and 5th row right photos was at Nyamalumbwa (northern Serengeti, (10-10). 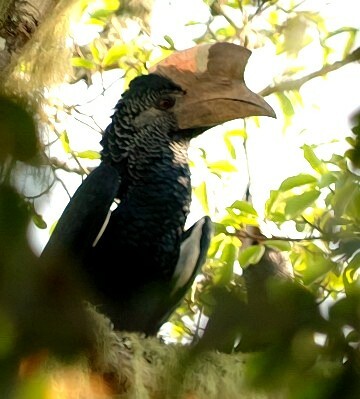 The male in the right 4th row was seen in Nyungwe Forest (Rwanda, 12-09), courtesy of Jason Anderson. 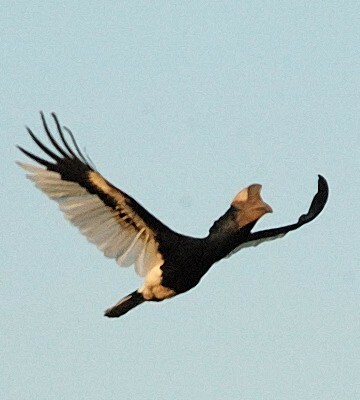 The bottom photo of a female in flight (Rubondo, 3-13) is courtesy of Paul Oliver. 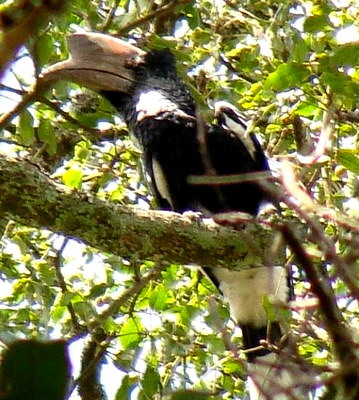 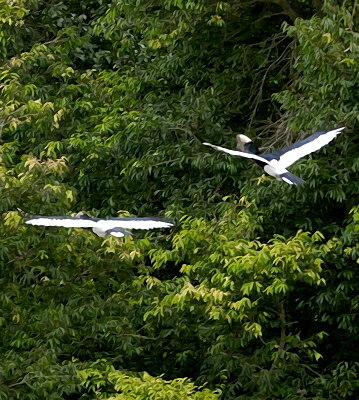 The other photos were taken in Minziro Forest (8-06). 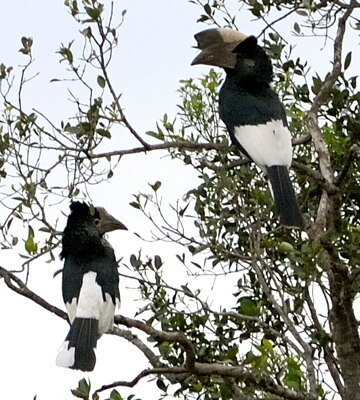 Note the large bicoloured casque in the male and the small dark casque in the female.